It’s here! It’s finally here! 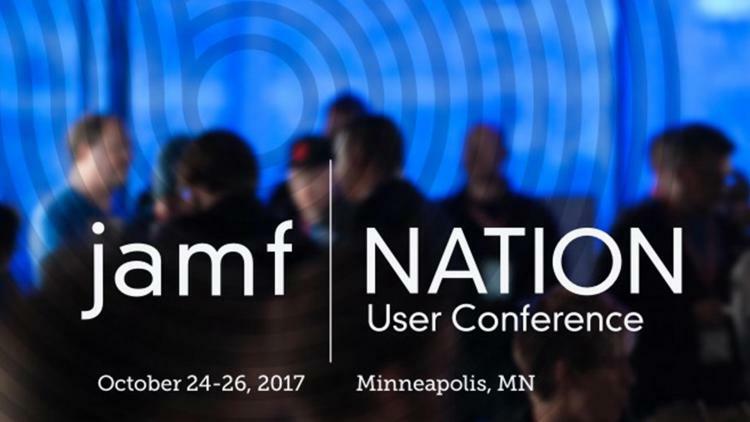 The Jamf Nation User Conference (JNUC) is less than an hour away. We sincerely hope you’re one of the many excited faces in the crowd ready to discuss all things Apple IT, and maybe even a little Microsoft conditional access. If you weren’t able to make it this year, no need to be burdened with a fear of missing out. We’ve got you covered. That’s right. Today and tomorrow’s keynote sessions will available for your viewing pleasure. Just because you’re not in the audience doesn’t mean you can’t stay on top of all the breaking news. Get a Jamf state of the union report, including an update on Jamf Pro 10, and new and significant integrations and partnerships. Through a series of interactive panels, learn first-hand how prominent organizations, including a guest appearance from Apple, are changing the way we work, learn and receive healthcare. If your Tuesday and Wednesday mornings are booked, go here and we’ll be sure you’re one of the first to receive the keynote recordings once they are available. We’re happy you’re with us in person or in spirit. Either way, be sure to follow #JNUC2017 to see what the JNUC buzz is and definitely check out our blog for session recaps. Let the learning, laughter and Jamf love commence!